Adds the ability to interactive rendering of thumbnails for materials (available for 3ds Max 2013 and higher). Fixed the issue with merging the LinkComposite objects. 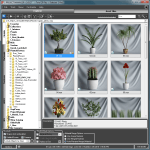 Now the treeView sort the system directories same as in Windows Explorer. Fixed the issue with disabling the “Delete” key. Fixed the issue with dragging the assets to the ‘Slate Material Editor’. Fixed the issue with select the objects by double-click on the asset on the Asset Files browser. 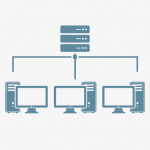 New icon for Project Manager. 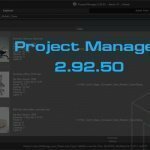 Related to "Project Manager v.2.10.15"